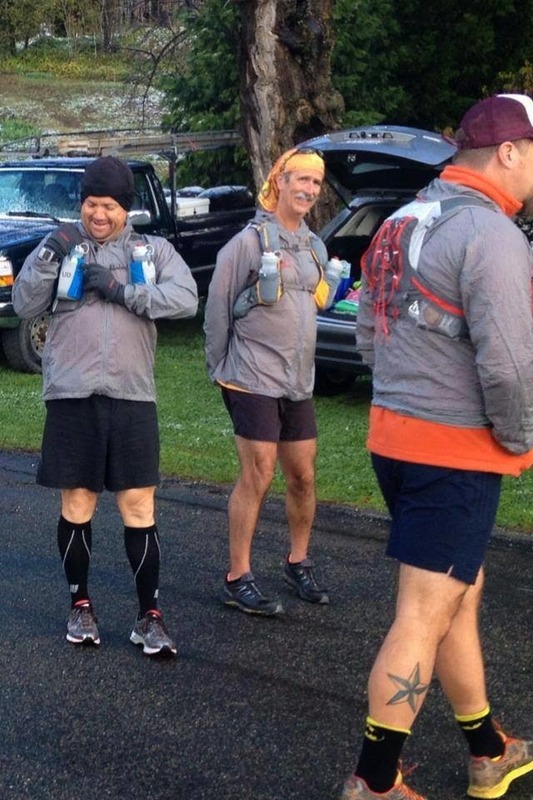 Robert Root, age 55, went missing while running on the Western States Trail Sunday morning. He was on a training run with a group of runners that started at Michigan Bluff. He became separated from the group and was last seen about 9:30am Sunday. Fellow runners began searching the trail initially, but when Root couldn’t be located, the Placer County Sheriff’s Office was called. A search was launched that continued into the night. Searchers lit fires during the night in the hope of attracting Root to the light. The search has been centered between El Dorado Creek and Deadwood, mile points 49 to 53 on the Western States Trail. The search continues at this time with motorcycles, dogs, ATV’s, by air, and on foot. There is a real sense of urgency to find Root today because of the continuing rain in the search area and chance of snow tonight. Root was wearing running shorts, shirt, and a light rain shell for protection. His head was covered with a bandana. He was an experienced trail runner from Modesto. He belonged to the Shadowchase Running Club. Root did not fall behind the group and get left behind. He actually ran ahead of his group in an attempt to catch a faster group that was on the trail ahead of them. The Western States Trail passes through a steep canyon (El Dorado Canyon) where he was last seen. There are at least two places in this canyon where runners can go off the marked trail if they are unfamiliar with it. According to the Shadowchase Running Club social website page, members are with the family at a support center in Foresthill to wait for Root’s healthy return. Various news services are reporting Root has poor eyesight and is on medication. Many people from the running community have volunteered to help in the search effort, but volunteers have been declined. Robert is alive and talking with rescuers. No further details.